Stewie came to us in 2012, life had been unkind to this guy, years of pain from his patellas had made him very intolerant to handling in the early stages of his rehabilitation with us. As time went on and his pain eased Stewie showed us his true sweet character. Sadly, Stewie died unexpectedly sudden in his sleep with a suspected heart attack in Sept 2014. Update April 2017 . Sylvia's legacy has now raised over £12,200 and the charities that have benefited to date are the Anglesey Coast Guards , The Welsh Air Ambulance & "Hospice at Home Gwynedd & Anglesey " charity which cares for people with cancer and life limiting illnesses. 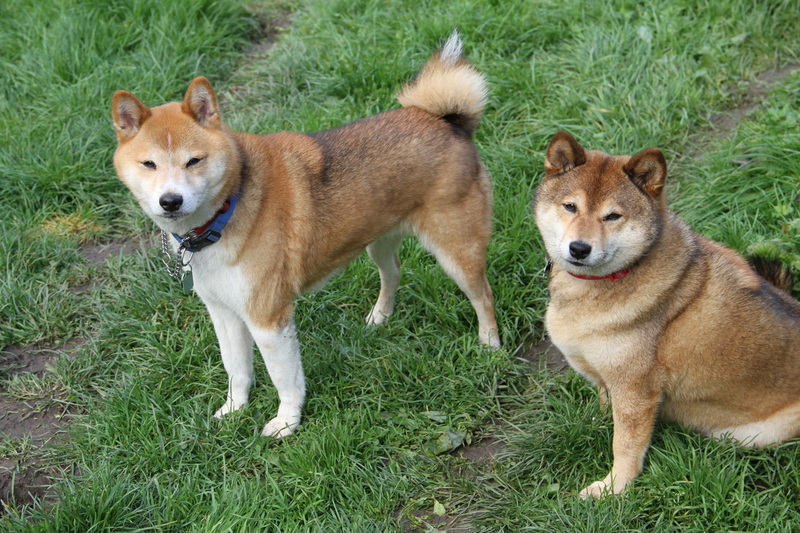 2018 will see us continuing to raise money in memory of Sylvia for another Anglesey charity and Shiba Rescue . Dearest "Buddy" - collected from a local Authority 'Pound' after his owner was hospitalised. Aged 17 years old, he was blind with little hearing, advanced dementia and tumours. 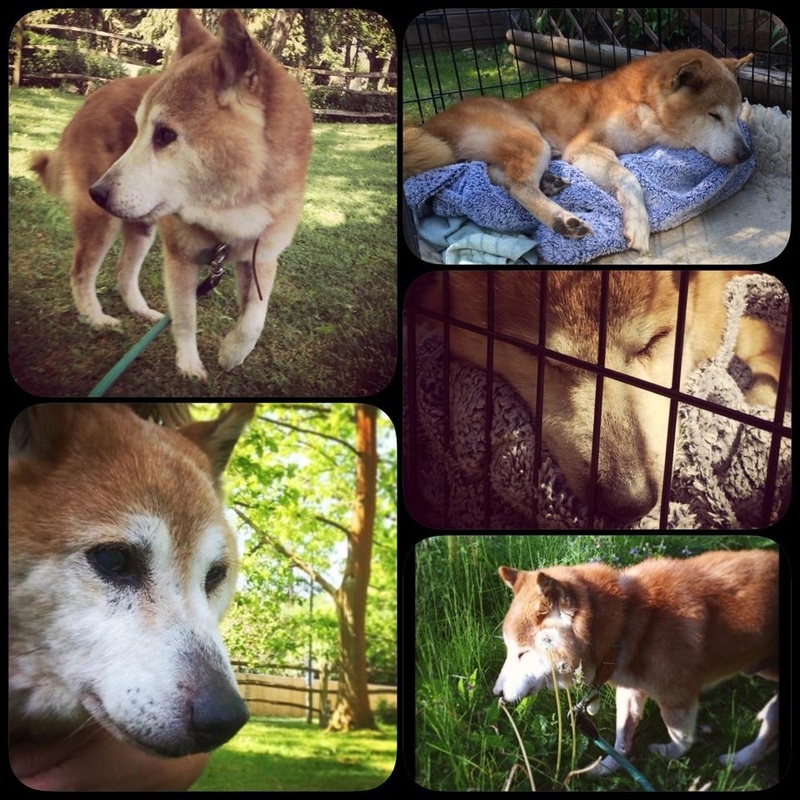 The kindest thing we could do was release him from his pain and send him over the 'bridge' . He touched a lot of hearts in his short time with us, we hope he realised how much he was loved before he left us on May 19th 2014. 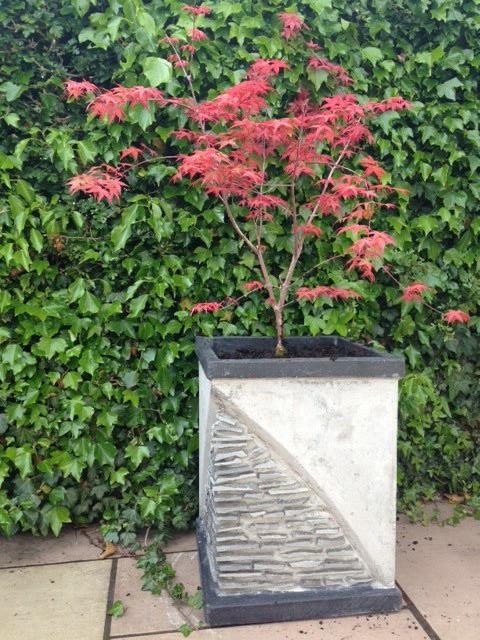 This Japanese Acer tree was planted in memory of Buddy.